T GALLERIA BEAUTY BY DFS gathers a magnificent collection of select products, ranging from 50 leading beauty brands to a dazzling assortment of internationally renowned watches and jewellery. In-store advisers are waiting to to offer their expertise and guide you through the unique world of luxury and beauty that is T Galleria. Premium Flagship Stores Collections: In just one short street between I.T. Hysan One, Leighton and Lee Theatre, there are more than 10 international fashion brands on offer – including I.T, the largest flagship in the world. Staying on top of the latest fashion trends has never been so easy! Glamorous Brands for Refined Tastes: Located at Hysan Avenue, Lee Garden One - Six is a treasure trove of top international luxury brands like Louis Vuitton, Hermes, Chanel, Dior, Gucci, Moncler, Roger Vivier, Valentino, Loro Piana, Tory Burch, Cartier, Van Cleef & Arpels, Bulgari, Piaget and more. These spacious multi-level stores have been designed to offer a supremely comfortable shopping experience, with beautifully spacious interiors and a unique ambiance. 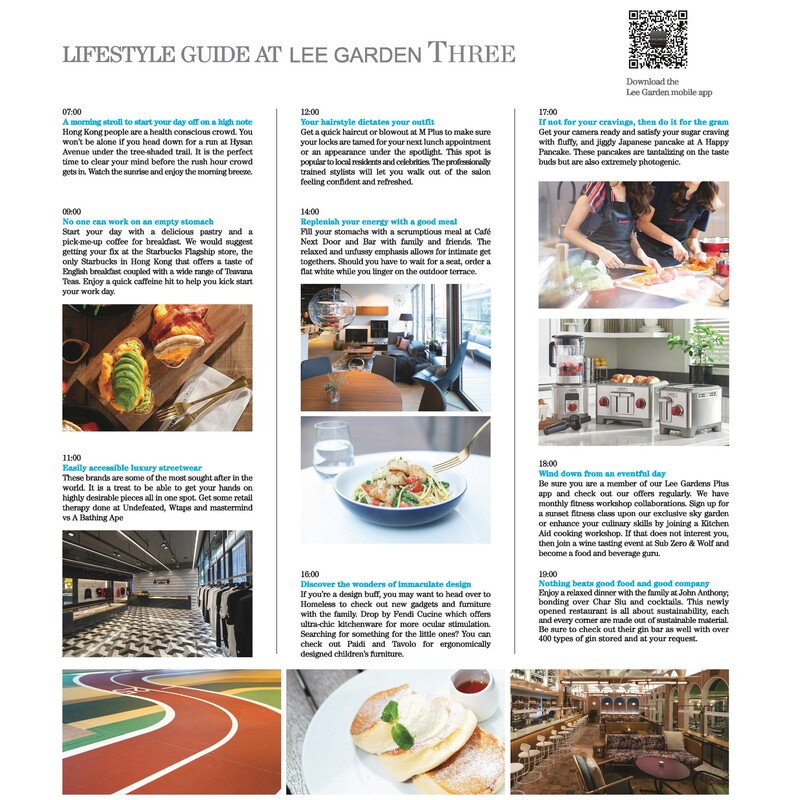 Coupled with the sheer variety of products offered, it makes Lee Gardens the destination of choice for discerning shoppers.